Acer also made their mark at the Mobile World Congress this year with three smartphones - the Liquid Jade 2, the Liquid Zest and the Liquid Zest 4G. The Acer Liquid Jade 2 sports a 5.5" 1080p AMOLED screen, which the company says supports 100% of the NTSC color gamut. The phone also features a beefy 21MP camera with fast autofocus and 4K video recording support at 30fps. The front-facing camera is 8MP and has 84-degree wide-angle lens. Under the hood of the Liquid Jade 2 ticks a Snapdragon 808 chipset with hexacore CPU and 3GB of RAM. The internal storage is 32GB and is expandable via the microSD card slot. The phone also supports the DTS Headphone:X sound enhancement and support for uncompressed audio. There is also support for DTS Play-Fi technology, which allows the phone to stream audio from any app or file to Play-Fi enabled speakers (including multi-room setups) by various manufacturers. The Liquid Zest has two distinct sub-models. Both come with a 5" 720p IPS display. The regular Liquid Zest only has 3G support, while the Liquid Zest 4G, as you can guess, comes with LTE support. The two devices have different chipsets - the 3G model has a Mediatek MT6580 chipset with a quad-core 1.3GHz CPU while the Zest 4G packs a MediaTek MT6735 with a quad-core 1.3GHz processor. The two also differ in the supported DTS sound enhancements. The 3G Zest offers DTS Sound Studio whereas the Zest 4G packs the upgraded DTS-HD Premium Sound. However, both phones lack support for DTS Play-Fi audio streaming technology. The rest of the specs are the same and include an 8MP f/2.0 main camera with autofocus and a 5MP selfie unit. 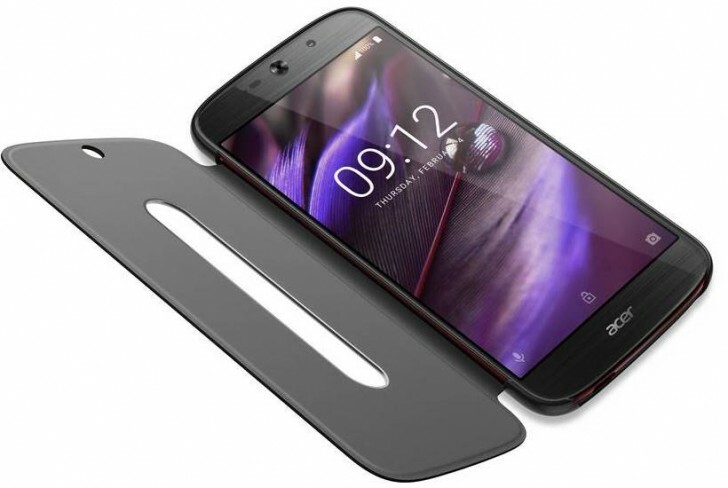 The Acer Liquid Zest will start at €109 and go up to €149 for the Zest 4G. Interesting specs... Does the Jade 2 have a removable battery, and what size is it ?